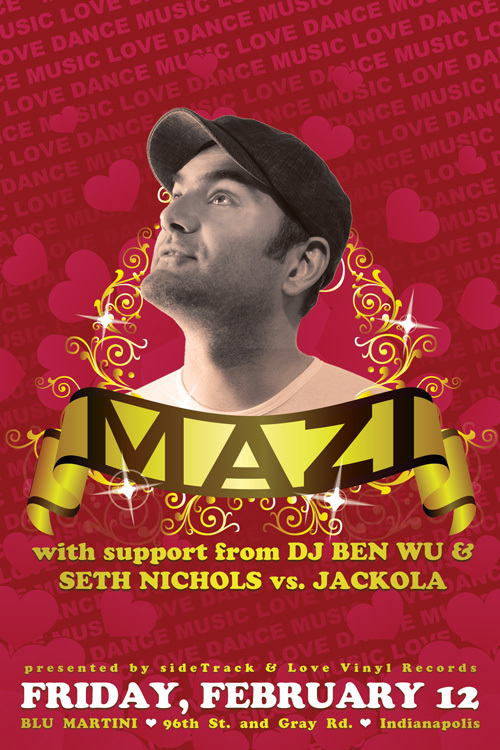 This Friday in Indy… Mazi + sideTrack t-shirts! 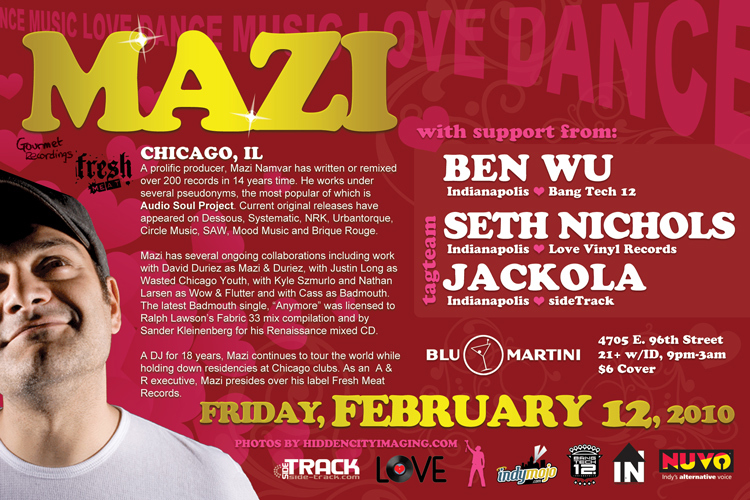 This weekend sideTrack and Love Vinyl Records will be celebrating the holiday of love with an event called “Dance Music Love”, featuring Chicago’s house music hero, Mazi. Mazi is also known as Audio Soul Project and has several tag team aliases, such Wasted Chicago Youth, when he’s spinning with Justin Long). Seth Nichols and I will open the first couple of hours with a tag team, and Ben Wu will close out the night. The event takes place at Blu Martini. Cover is $6, but you can get a cover for only $2 if you purchase a side-track t-shirt online. 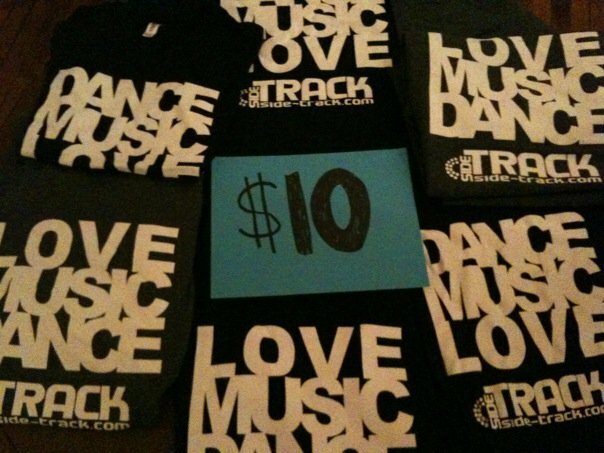 Click here to buy a sideTrack t-shirt and/or tickets to Dance Music Love!